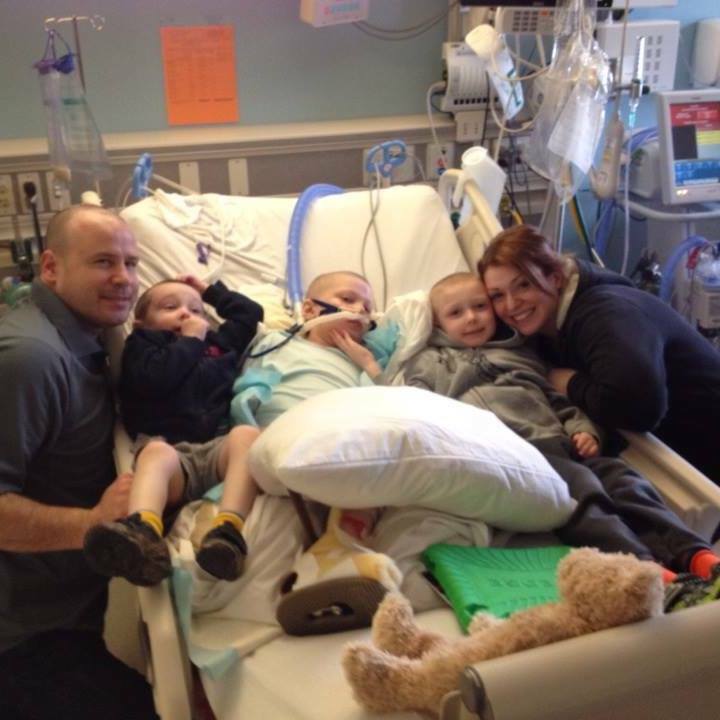 Raise your hand to help Aidan! Then jump over to my Four Bucks To Change The World page at YouCaring.com/FourBucks and donate your $4.00 to bless Aidan’s life. I met Aidan and his family a few years ago when God guided me into their lives. I was in the middle of doing a fundraiser for Make It For Maggie and knew in my heart there was a family in our local area we needed to support, but I didn’t know who it was. I kept praying to be guided to the family we were to reach out to and bless. Then God told me about Rachel and Lincoln Lear and their three precious boys. I called Rachel up out of the blue (here is her beautiful perspective on the whole thing) and told her we wanted to raise money for her boys’ needs. As shocked as she was that a complete stranger was calling her, she graciously accepted my plan to make a difference in the life of her family. We have been dear friends ever since and I count them as one of the great blessings in my life. Aidan teaches me how to love more purely and more deeply. His heart is huge and he shares his love abundantly. Here is what the Lear’s neighbor, Mary, said about them. “I believe that some people need challenges and trials in their lives in order to turn their hearts toward God, and I believe that some people agreed to have certain challenges and trials in their lives and praise God through it all in order to turn other people’s heart to Him. Rachel and Lincoln Lear, along with their precious boys are just such people. Rachel and Lincoln are two of the most humble, kind, gracious and self-less people you will ever meet. They have been given tremendous mountains to climb during their journey on this earth. They have been blessed to be the parents of four beautiful boys, one of which is waiting for them in heaven. 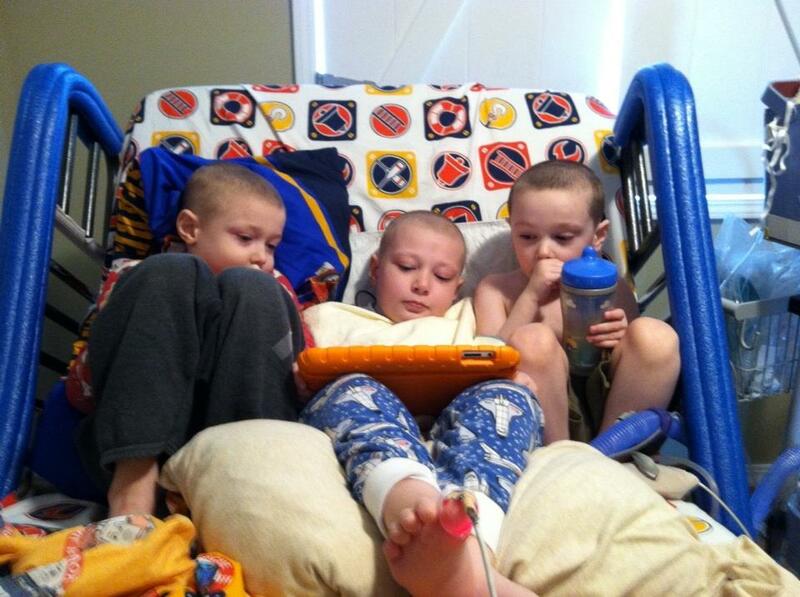 Their other three boys have serious health problems. Aidan, the oldest, is 9 years old. He has been diagnosed with Lennox-Gastaut Syndrome, which is the most severe form of childhood epilepsy. It is extremely rare, with one retrospective study estimating the annual incidence of LGS at 0.002%. LGS is characterised by daily, multiple seizures of varying types, larger than any other epileptic syndrome. The wide range of seizure types can include Tonic, Myoclonic, Tonic/Clonic, atonic, atypical absence and non-convulsive status seizures. 78% of children with LGS have an underlying cause such as brain lesions, genetic abnormalities, hereditary metabolic disorders, encephilitus, meningitus, brain injury or history of infantile spasms (West Syndrome). In 22% of cases, there is no known cause. A cause has not yet been determined in Aidan’s case. The onset of seizures usually begins between 2 and 6 years of age, with an average onset of 3 years. Over time the child will have multiple seizures that are resistant to treatment. Multiple anti-convulsant medications are usually needed to decrease the frequency of seizures, but complete seizure control is very unusual. The combination of multiple medication side effects and multiple daily seizures take their toll on the child and causes a progressive decline in cognitive, physical and social development. The prognosis of these children is very poor. There is no known cure for LGS and a future free from seizures and normal intillectual and/or physical development is exceedingly rare, leading many Neurologists to identify Lennox-Gastaut Syndrome as a catastrophic diagnosis. 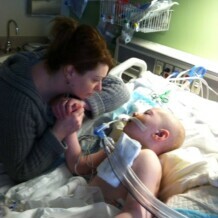 Aidan’s health has been declining over the past years and in January of this year, he contracted pnemonia in both lungs. There were many complications due to his already fragile state. He had a tracheotomy done and is now on a permanent ventilator as well as a permanent feeding tube. After over 2 months in the hospital, he was able to come home in March and is currently on hospice care. The Lear’s second oldest, Jacen is 6 years old. He has been diagnosed with cerebral palsy with a seizure disorder. He has not been diagnosed with LGS, although his behavior and decline in health is mirroring what happened with Aidan. Their youngest, Damon, is 4 years old. He has been diagnosed with epilepsy. 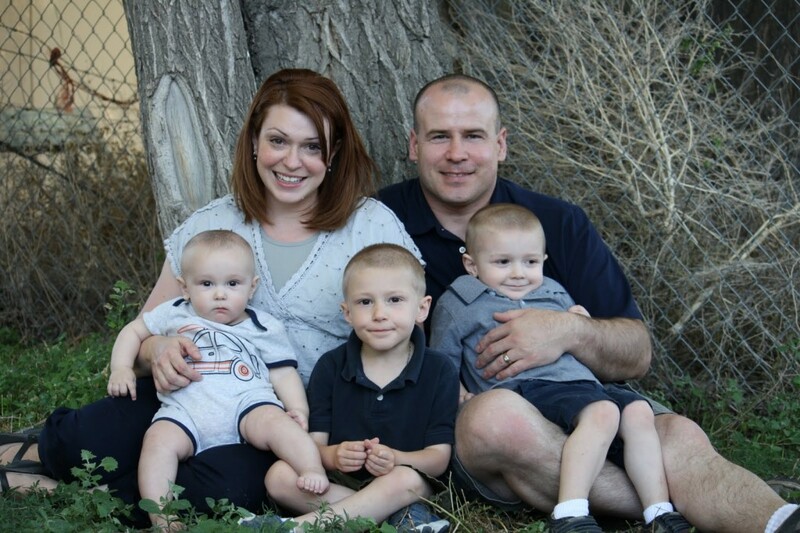 All three boys have varying degrees of developmental delays and regressions. They also all have a body temperature dysfunction, where they can’t regulate their body temperature so they cannot play outside, or over-exert themselves in anyway. The specialists haven’t fully diagnosed any of the boys, but they do say that they are dealing with a genetic disorder, that all the boys have the same thing and are just at different stages. On top of it all, their angel mother Rachel, was diagnosed a few years ago with epilepsy herself. So she has her own migraines and seizures with all the side-effects to deal with on top of pouring every ounce of energy she has into caring for her boys and all of their needs. 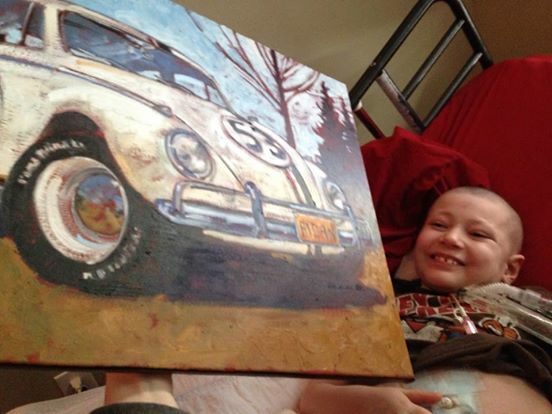 An artist painted this picture for Aidan last week – he loves it! I can’t paint and my body isn’t strong enough to take care of him, but I can still show my love for him by raising money for his needs. 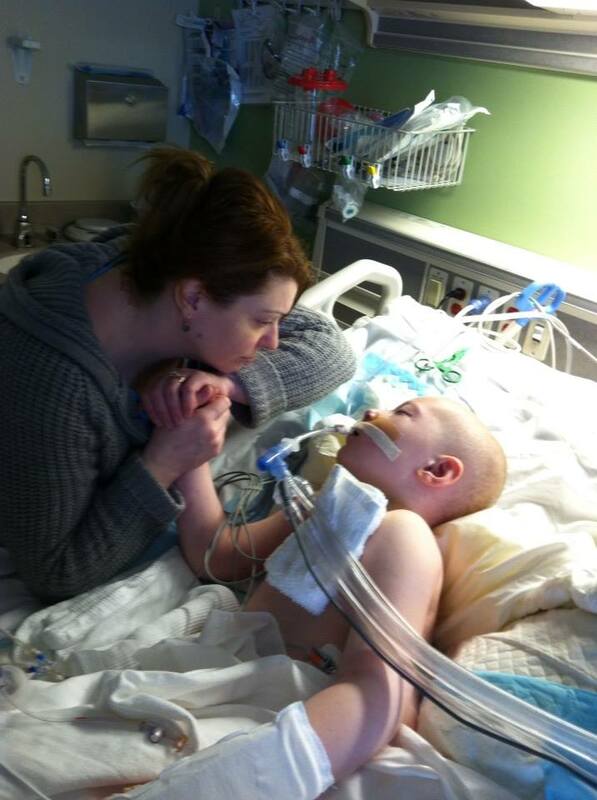 I want to make a difference in Aidan’s life and the lives of his family members. Let’s get them the equipment and funding they need so they can focus on living and loving without the huge stress of “how do we pay for this?” hanging over every decision. 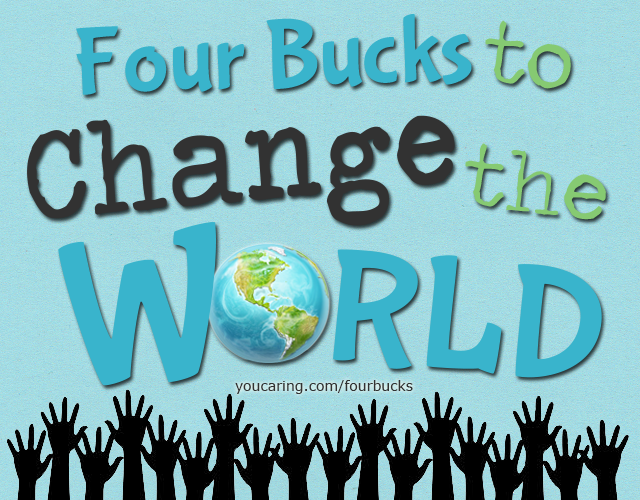 Go to youcaring.com/fourbucks to donate today. Then spread this far and wide. Let’s get 40,000 four buck donations. Soooo I thought you were going to feature the other folks? Did something happen? Are you ok?? Or just touring the state appearing on TV? I am working on it right now. We have had three days of Keziah’s play in a row and yesterday I could hardly move. So, today is the day. I just updated the video and tried to add a hyperlink to the youcaring.com/fourbucks site, but it won’t work because youcaring.com is not a Youtube supported fundraising site. Here is the new link to the updated video…you should changed it on your site.